I dreamt that my husband and I had to go to the hospital a few days before our scheduled ultrasound, and they decided that they wanted to perform an ultrasound just to be sure that all was fine with the baby. 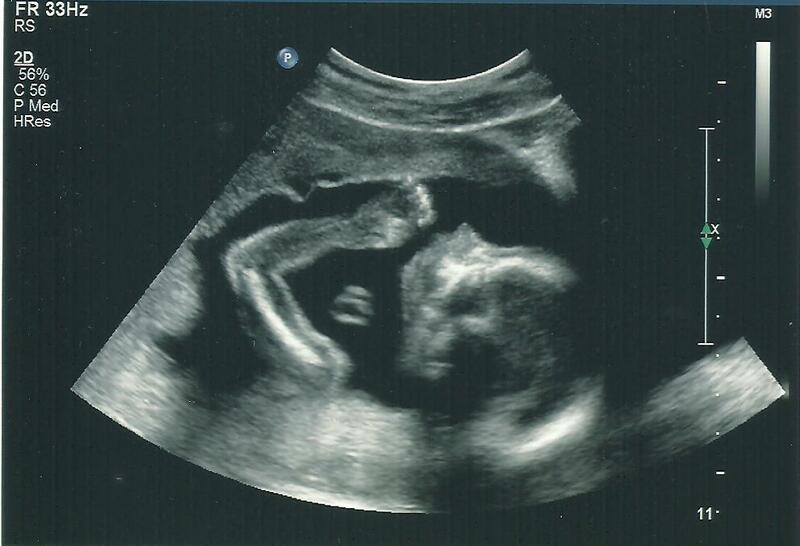 As the ultrasound tech guided the wand across my stomach, she asked us if we had found out what the baby's gender was and if not, did we want to know. Well yes! Of course we want to know. She said, "Well, it is definitely a boy!". I was in shock. My husband had this cute little smile on his face. I had to ask her if she was sure. I mean, how could our previous tech get it so wrong? She turned the ultrasound screen to us and sure enough it was a boy! No doubt. I turned to my husband and said, "But we don't have any boys names picked out! I guess this means we will have to have another one after this one." The dream felt so real to me. So even though I was still feeling pretty sure that this ultrasound today would definitively confirm we were going to have a girl, that dream lingered in my mind... How would I react if the tech told us today that we were having a boy instead? YAY! I am so ecstatic for you two, sweetie! I am crying happy tears as if it happened to me. How absolutely wonderful!!! !